Chrissy Teigen and John Legend’s adorable family just got a little bigger. Teigen announced Wednesday, May 16 that their second child, a baby boy, had arrived: “Somebody’s herrrrrrre!” she tweeted, tossing up some baby bottle emoji confetti for good measure. No word on the little boy’s name yet, but let’s hope his parents opted not to go with Teigen’s clever idea to name him Urban Legend. Maybe they’ll let big sis Luna Simone Stephens choose the name? In our experience, toddlers naming babies is always a win. That’s how babies get named things like Yellow and Watermelon. Teigen is the ultimate multitasker. In addition to being the coolest mom on the playground, she hosts Lip Sync Battle, writes cookbooks and has the ultimate honor of being blocked by Donald Trump on Twitter. In fact, she’s already stoked to welcome baby No. 3. (Yep, you read that correctly.) 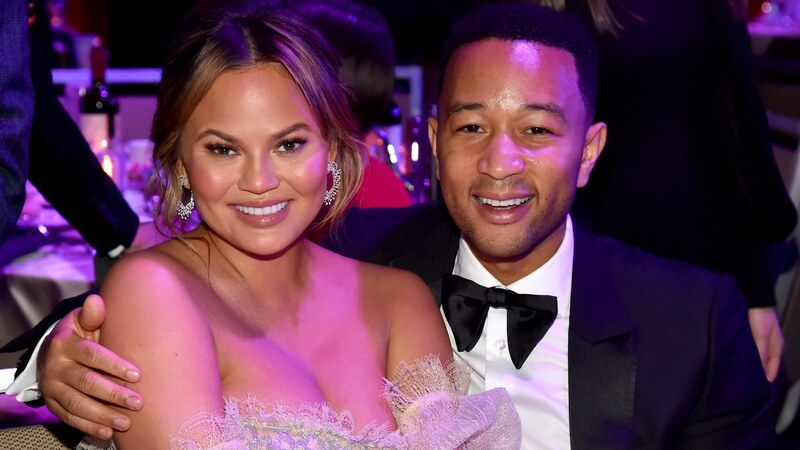 In March Teigen said that she wants to have babies “back to back,” so we may be blessed with yet another adorable Teigen-Legend baby sooner rather than later. More: Pregnant Chrissy Teigen Is Already Excited For Baby No… 3?! But for now, we’ll just be over here waiting for photos of the little boy and Luna. And luckily for us, Teigen always keeps it real about motherhood on social media — so we can count on plenty of candid, hilarious and sweet anecdotes as she, Legend and Luna navigate this exciting new chapter of their lives.